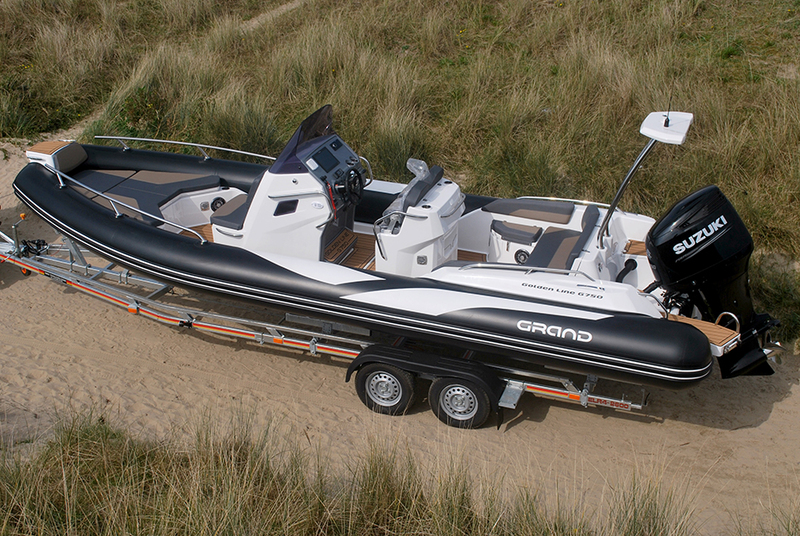 We are so excited to announce we have just taken delivery of the only GRAND G750 available for sale in the UK. 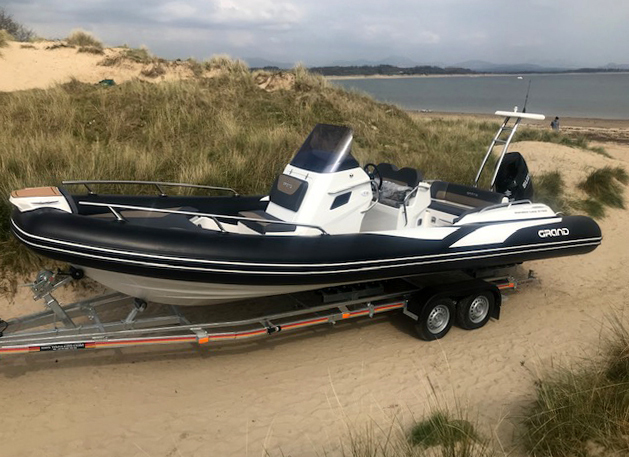 Due to enormous global popularity, availability of this extraordinary RIB has been extremely restricted, and we are so pleased to be able to offer this exclusively. 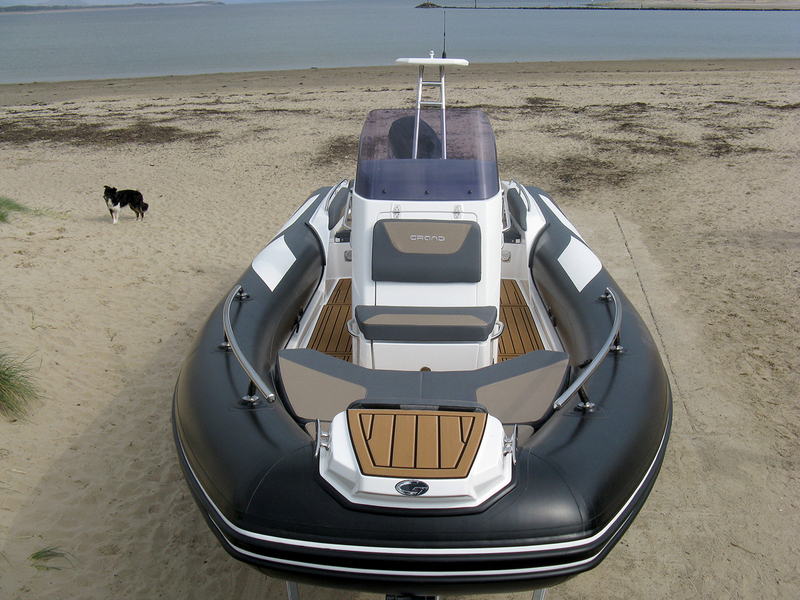 Click here to download the PDF with all the specs. 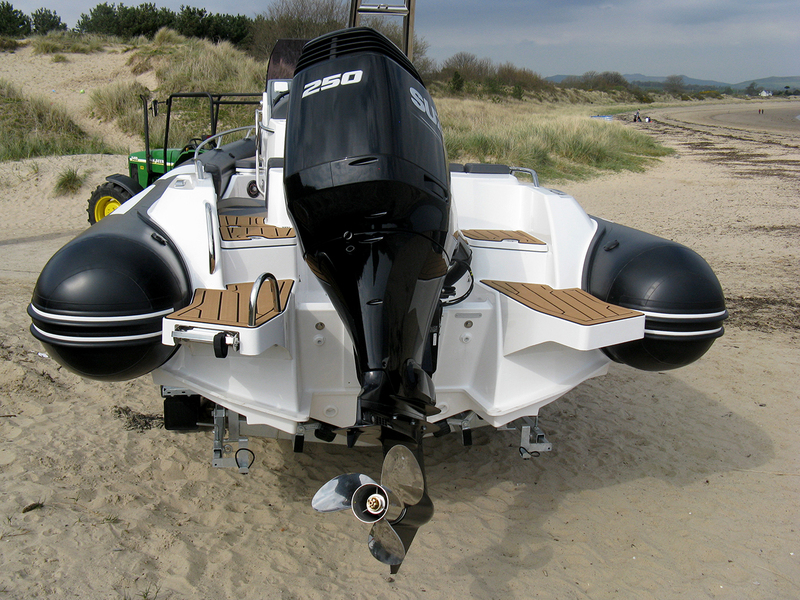 This is one of the safest and most innovatively designed RIBs to come on the market with its light-weight, high-performance and high-capacity structure with a heavy-duty, deep-V hand laid hull and elegant tubes with the unique GRP step ends. 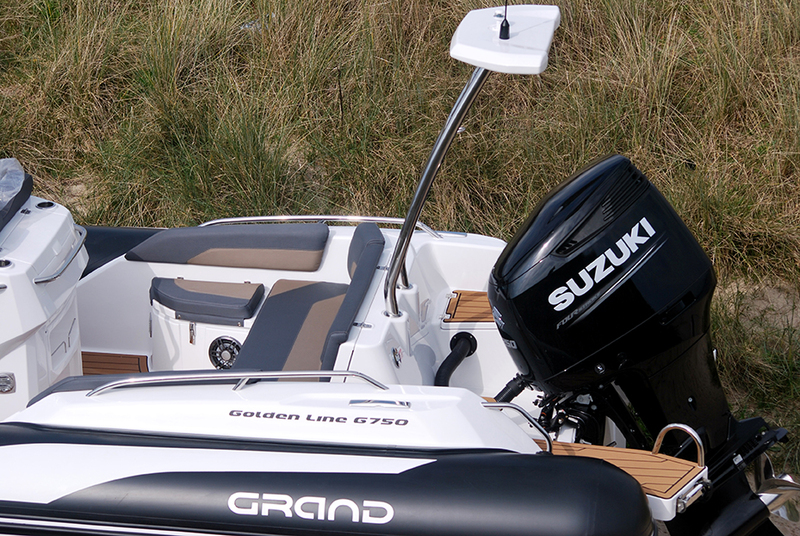 The new GRAND G750 was launched at the end of 2018 and there is extremely limited supply to the UK. 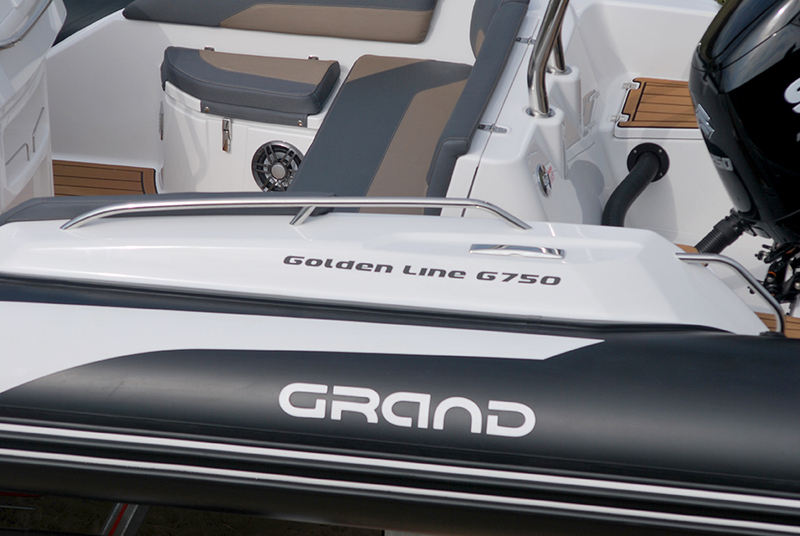 The GRAND Golden Line G750 RIB is the brightest jewel in the GRAND RIBs crown. 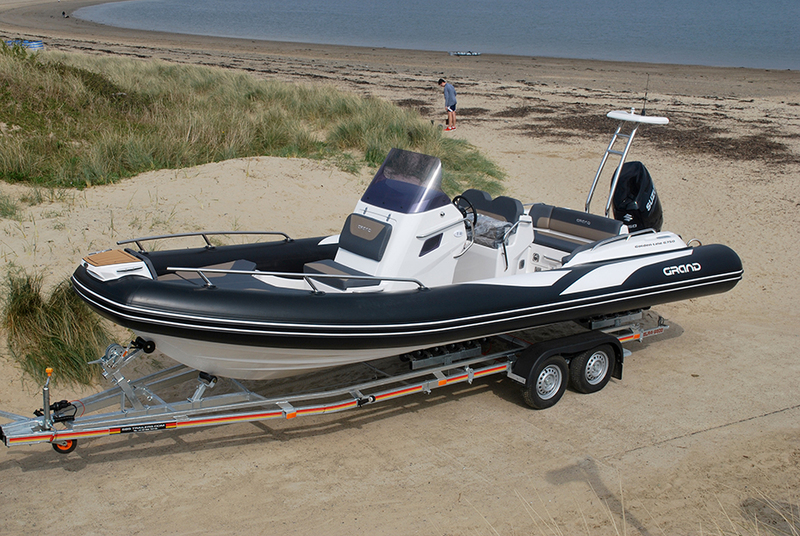 This perfectly sized 7.5m RIB provides more speed and greater comfort than the G650 RIB and offers all the great living and lounging spaces of her bigger sister, the G850 RIB. 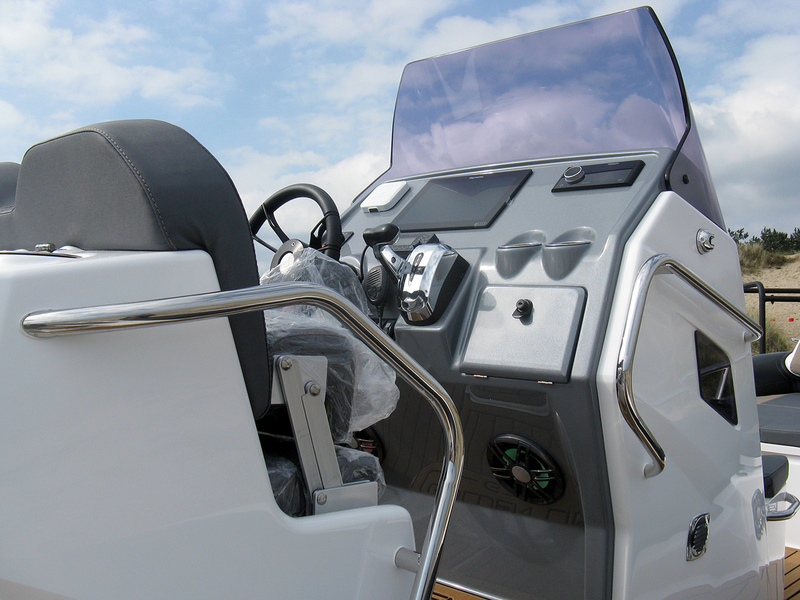 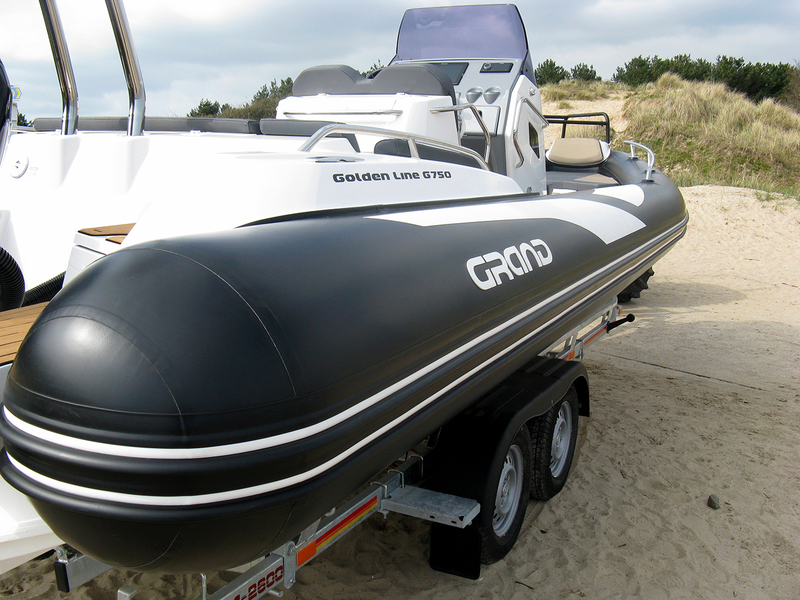 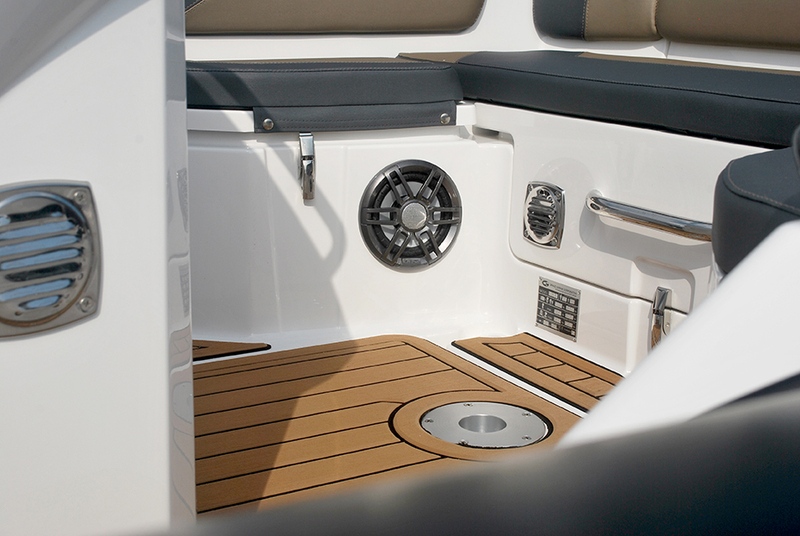 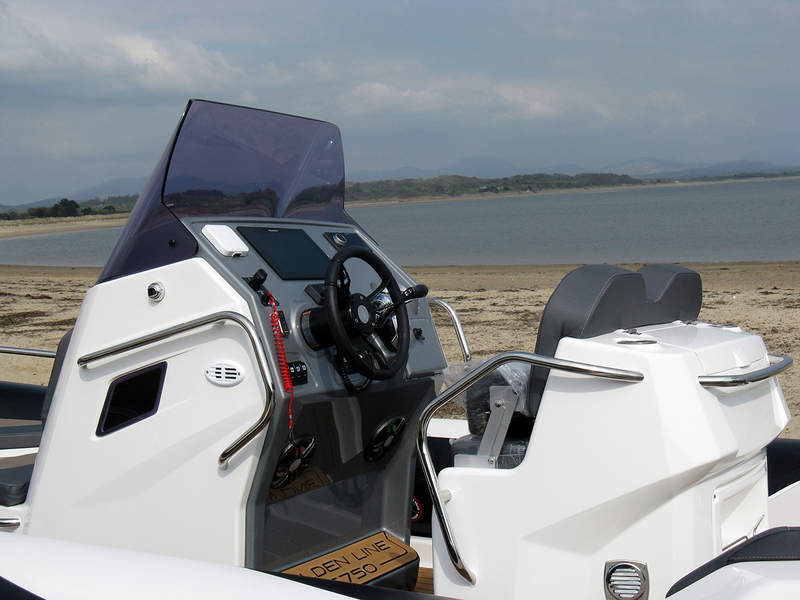 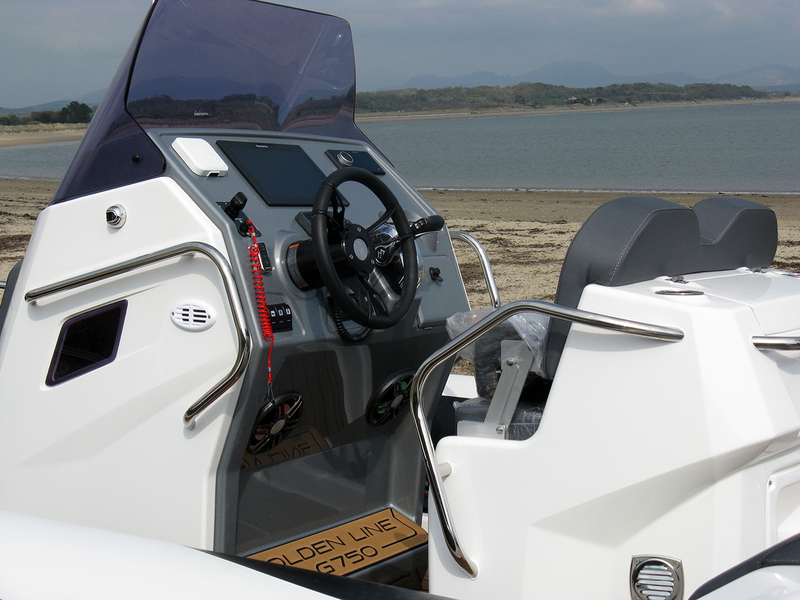 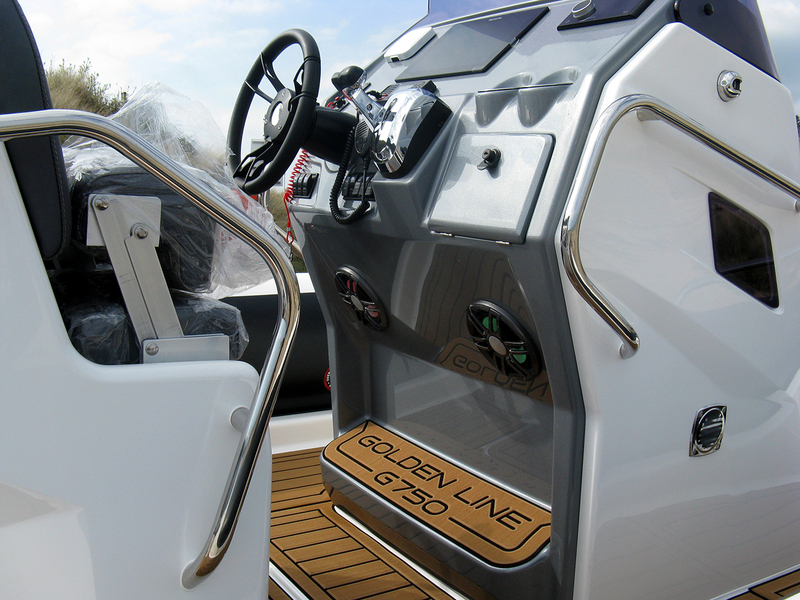 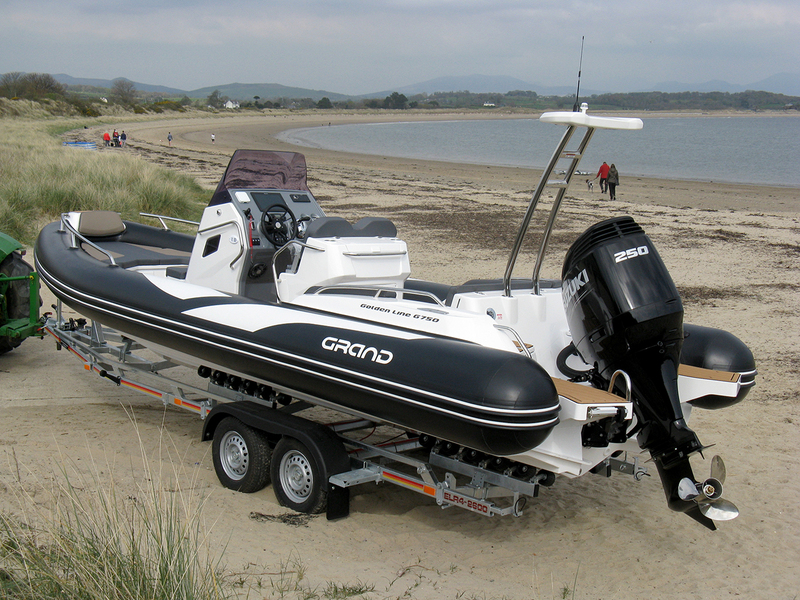 The G750 is the perfect family/leisure RIB for enjoying the waters of North Wales. 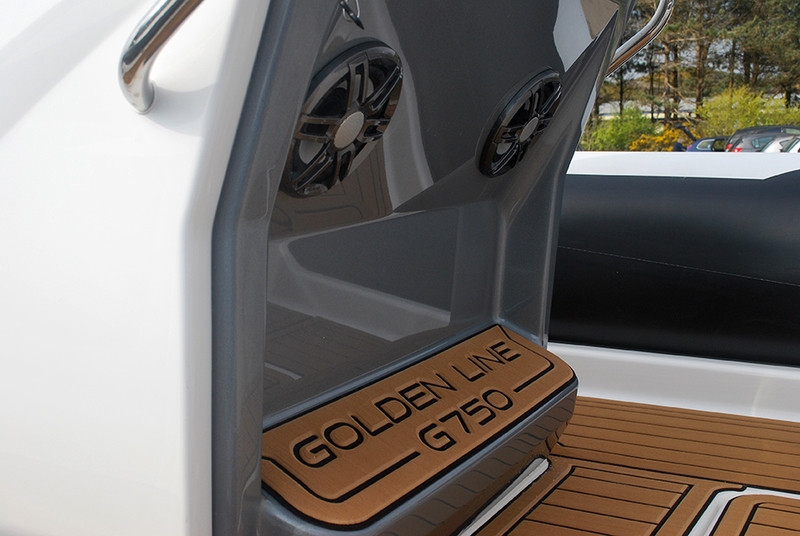 The GRAND Golden Line G750 offers superb performance with plenty of space and luxury while retaining the extraordinary sea keeping qualities inherent in the class. 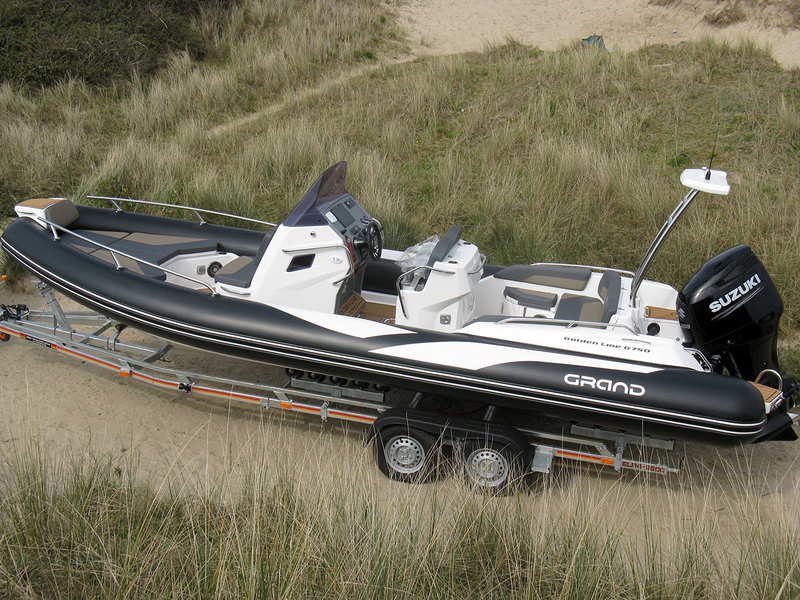 This new 7.5 metre design fits neatly between GRAND’s highly successful G650 and G850 RIBs whilst introducing some exciting new design ideas and features. 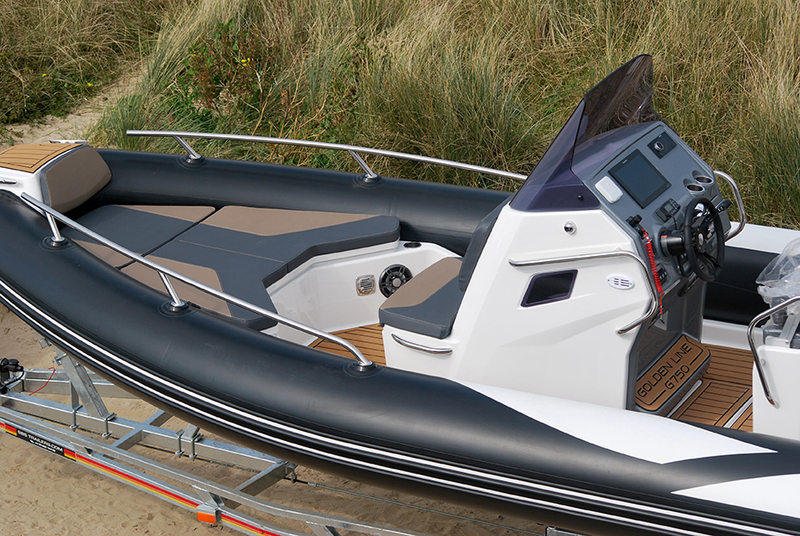 For more information or to make an appointment to come and see this stunning RIB, click here. 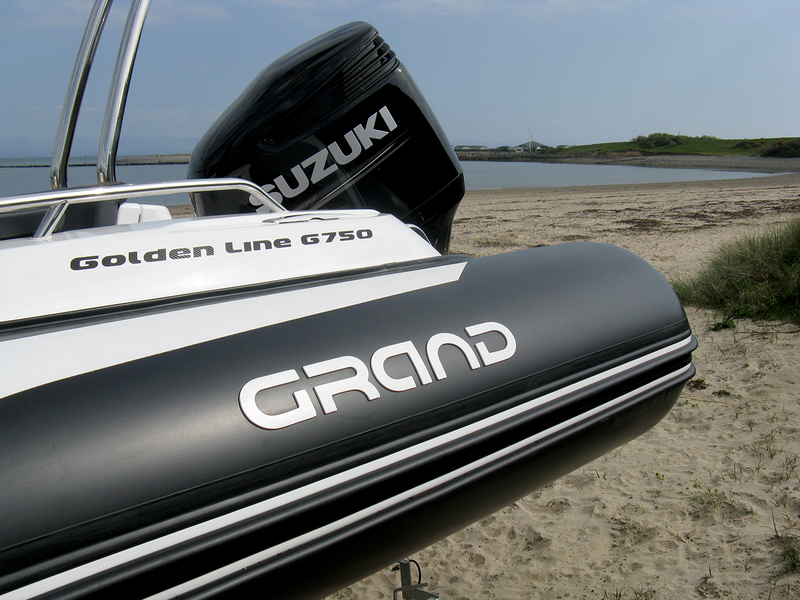 With very limited supply to the UK market, Harbour Marine are delighted to announce that we have the only new GRAND G750 available.